Always Use Protection. Especially When It Looks This Good. It’s a departure from my usual fashion features but since I have this bike fetish, I tend to indulge everything from Brooks and from this day forth- anything from the fertile imagination of Jérôme Coste. 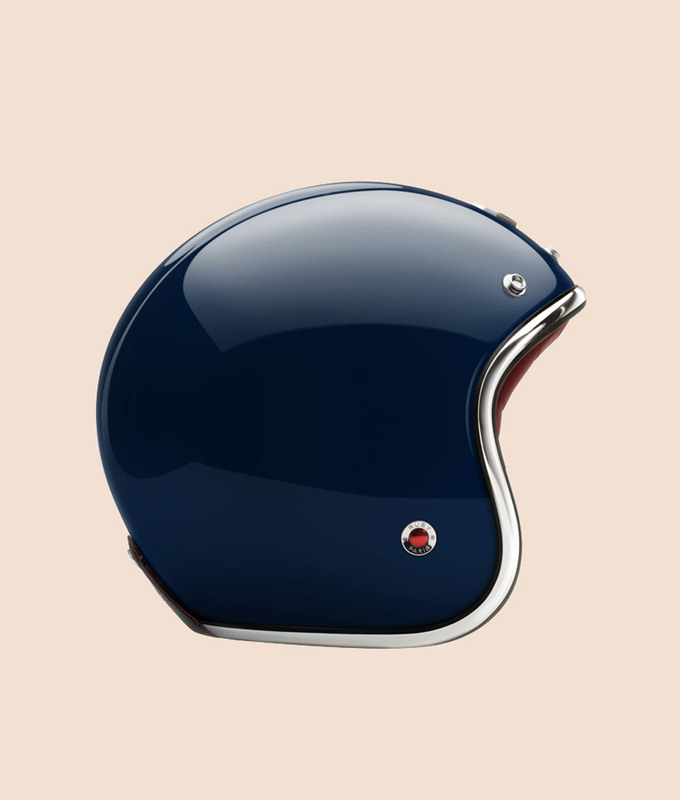 This was a man who got his kicks from motor racing and activities of a “head-cracking” nature, these passions and quite probably the need to protect his cherished heroes from their head cracking lifestyles led him to launch Les Ateliers Ruby in 2004. Who says protection needs to be unsexy? His successful blend of retro, high polish luxury and street fred have given birth to one of the sexiest helmets I’ve seen in a long time.